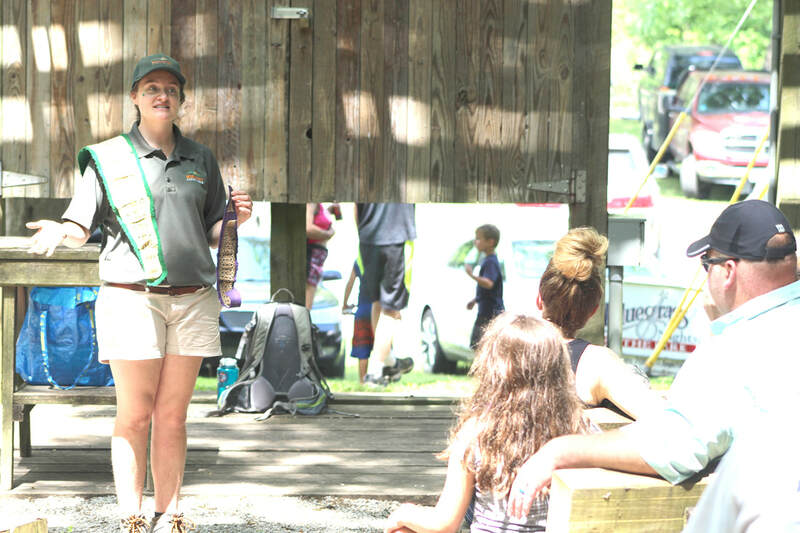 Roaring River State Park’s Kelly Koch leads a class on snakes at the amphitheater during Kids’ Fishing Day on Saturday. She helped kids and adults learn to identify snakes and what to do if they encounter them in the wild. 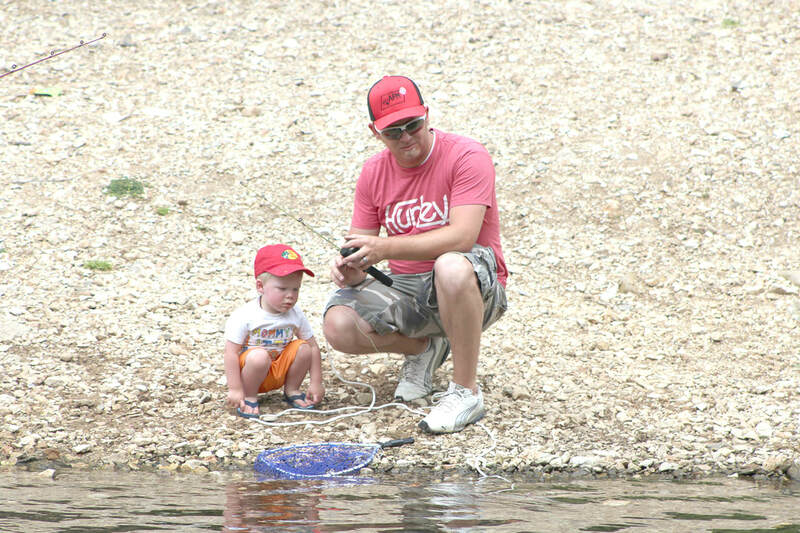 Above, Cooper Woody, 20 months old, learns a thing or two about fishing from his dad, Steven Woody, of Monett.